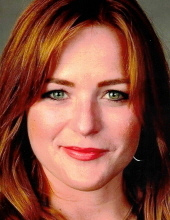 Renee Zensen, age 41, of San Francisco, CA and formerly of Faribault, died on April 4, 2019 in San Francisco, CA. Memorial services will be at the Boldt Funeral Home, Faribault, on Saturday, April 20, 2019 at 2 p.m. with the Reverend Craig Breimhorst officiating. A memorial visitation will be at the Boldt Funeral Home, Faribault, for one hour prior to the service on Saturday. Renee K., the daughter of Tom Zensen and Karen Olson, was born on April 3, 1978 in Faribault. She graduated from Faribault High School with the class of 1996 and attended St. Cloud State University and graduated from the University of California, San Francisco. Renee was employed in sales and marketing and she was also a yoga instructor. Renee loved San Francisco, traveling, riding her bike, rock climbing, hiking and volunteering her time. She is survived by her parents, Karen (and Boyd Jones) Olson and Tom (and Kim) Zensen, all of Faribault; one brother, Ryan (and Stacy Murphy) Zensen of Faribault; aunts; uncles; and other relatives and friends. She was preceded in death by her grandparents, Arnold and Margaret Olson and John and Constance Zensen. "Email Address" would like to share the life celebration of Renee Zensen. Click on the "link" to go to share a favorite memory or leave a condolence message for the family.